The #SchoolStrike saw participation in the millions across the globe, making it one of the largest climate change protests in history. Rahul D writes about the various challenges awaiting the youth leaders of the movement. 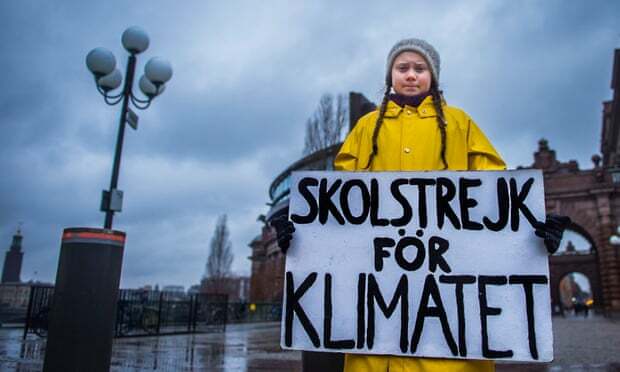 The image of fifteen year old Greta Thunberg standing alone outside the Swedish parliament one and a half years ago, protesting her government’s cavalier attitude towards climate change with a school strike has seared itself into the global consciousness. A shy, reticent girl who was diagnosed with Asperger’s syndrome, Greta has gained a reputation for speaking frankly on issues that are dear to her. Her protest has slowly gathered supporters, and has now gone global. 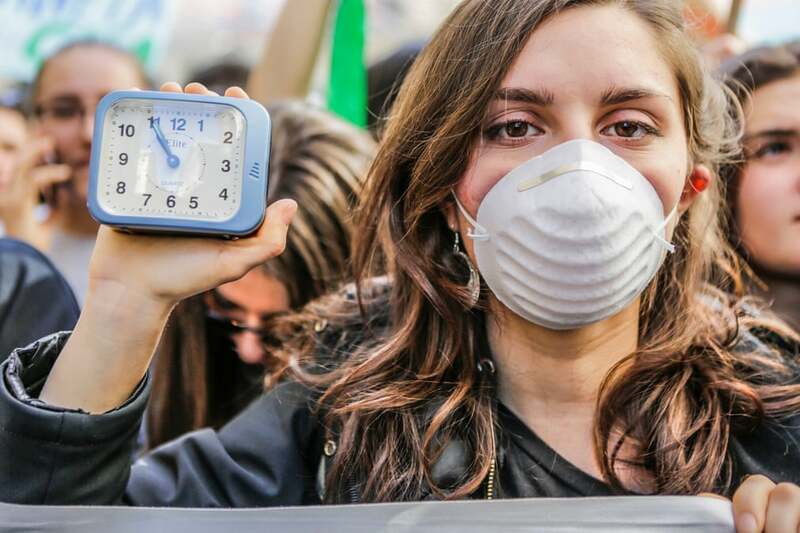 On March 15th, 2019, millions of students across the world participated in a school strike to provoke action on climate change by the world’s governments in one of the largest climate change protests in history. These protests signal a new era of political protest. Matters have come to such a head that the very young—often school students—are at the forefront of modern protests, signalling the global perspective and reach of today’s youth. The #SchoolStrike movement has now spread from the Global North to Africa, Australia and India and it has the potential to be a truly worldwide reckoning for neoliberal policies. However, it is not quite there yet. The Guardian’s special opinion section from the week of the protests, which was guest edited by the climate strikers, contains several statements of policy aims. Significant among these is a manifesto prepared by the UK’s Student Climate Network, and an open letter written by the movement’s leaders, i.e. those from the Global North. Despite an awareness about the effects of climate change on the Global South, there is nothing in the letter which speaks to the coming geopolitical confrontations between the Global North and South, or about specific issues (like water scarcity) which are likely to affect the Global South more. The movement seems to assume a universal perspective on the effects of climate change that does not consider important local variation. This is despite the fact that young activists from the Global South who are participating in the movement do show an awareness of the specific issues affecting their countries. Some people believe that we are beginning to see signs of hope, such as the “Green New Deals” being floated in the USA and other developed countries. (Greta Thunberg herself is not that optimistic. When asked about the Green New Deal, she says, “No, I am not more hopeful than when I started. The emissions are increasing and that is the only thing that matters. I think that needs to be our focus. We cannot talk about anything else.”) As new forms of green technology and alternative fuels are developed and adopted by European and American governments, along with measures such as carbon taxes or ‘cap and trade’, there are signs that the Global North is beginning to take the domestic impact of climate change seriously. However, we have been here before: economic restructuring at home coupled with outsourcing and deregulation abroad was the engine behind globalisation in the 80s and 90s. Back then, the International Monetary Fund (IMF) and the World Bank prevailed upon third world countries—who needed the jobs being outsourced—to scrap labour laws and loosen environmental restrictions for the companies moving their manufacturing abroad. A not unlikely scenario for the coming decade is that this dynamic repeats itself: the implementation of Green New Deals followed by an increasing dependence of the Global South on the IMF for financing as crops fail, water tables dry up, development falters, and reliance on expensive green technology patented in the Global North increases. In this way, the continual pursuit of economic growth will give rise to a dynamic of domestic sustainability along with international devastation, something we might call eco-nationalism. There are groups who are already thinking about the Green New Deals in these terms, for example, Science For the People. Looking at the climate crisis in South Asia helps us see how inadequate reform measures taken in the Global North can be for the Global South. As Christian Parenti reports in his book Tropic of Chaos, the unifying aspect of the climate crisis in South Asia will be water—either the lack of it, or an unwanted and devastating surplus. Pakistan could be destabilised by drought, while Bangladesh might see a surge in floods and in migration out of the country. Large areas of the Deccan and the Ganges basin could fall into drought, which will bring villagers into conflict with moneylenders and state police forces. These forces will couple with, and exacerbate, the crises caused by neoliberal policies. Dealing with these crises requires the co-operating with and empowering indigenous movements, such as the ones among farmers, the lower-caste urban poor, and factory workers. Chaos in the Global South is likely to be accompanied by the concomitant rise of mass migrations, which will feed into the already popular xenophobic movements in the Global North. Perhaps we will see the rise of fascist, nativist politics which co-opt the environmental movement. This phenomenon, called eco-fascism, is already underway in many countries. Clearly, if the choice is between eco-fascism and eco-nationalism, from the perspective of the Global South, it is not a real choice at all. In her book This Changes Everything, Naomi Klein has already spoken of the need for local solutions to sustainability. Local thinking is necessary because the consequences of climate change are multidimensional and vary from region to region, and community to community. There are, however, broader problems that can also be discerned, such as the drive towards economic growth, and the concentration of the climate fallout on the Global South, which a strictly local activism is ill-equipped to handle. These broader problems are the basis for the two other policy proposals in Klein’s book, namely degrowth, and a ‘Marshall Plan for the Earth’. The latter phrase is meant to denote a truly international, altruistic plan of aid, without the imperialistic connotations of the original Marshal Plan. It can be thought of as something like an international Green New Deal, facilitating wealth flows from the Global North to the Global South, the opposite of what would be the case under eco-nationalism. Similar suggestions about embracing the Commons and integrating with workers’ movements, have been made by eco-socialists. For activists in the Global South, the internationalism and enthusiasm of the student protests can be a useful path to such a sustainable future. 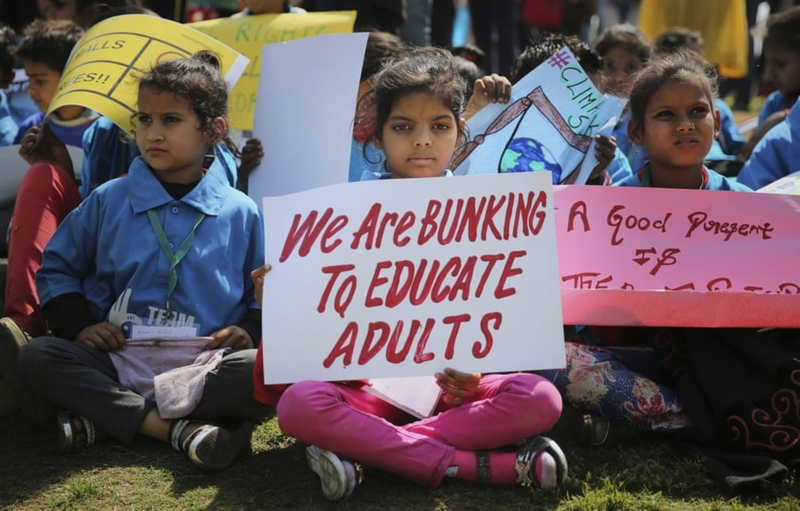 Particularly in India, it is incumbent upon climate activists to educate students about the many dimensions of climate change—the social, the political, the economic, etc. There is some awareness among the Indian students featured in The Guardian about issues of water scarcity in rural areas. Their lack of concrete policy ideas, unfortunate though it is, reflects the prevailing attitude towards climate change in Indian politics, where it is often ignored, or simply blamed upon the developed nations. The student strikers are enthusiastic, eager to learn, and eager to speak. And they are plugged into a global network that could have direct effects on climate change policy throughout the globe, although how far they will be able to effect structural changes in global political relations remains to be seen. It is important for them to now build alliances between farmers, workers’ unions, anti-caste activists, and other student activists. A multi-dimensional approach to the water crisis, for example, requires the building of alliances between farmers protesting drought, expensive GM crops, and money-lending practices, dalits agitating for equal water access in wells, workers striking for better labour conditions in increasingly crowded and drought-prone cities, and intellectuals devising new patent laws that affect GM copyrights. These alliances will break down the trichotomy of differing international, national and local perspectives on climate change. It might give one hope for a future where local issues interact with global politics, slowly marshalling the resources for a ‘Marshall Plan for the Earth’.